This site offers tips, ideas, and strategies for bringing Applied Behavior Analysis into natural contexts to support children and adults with autism spectrum disorders and related disabilities. New Bringing ABA Website is Launched!!!!! The content of this blog plus MUCH more on Bringing ABA into the natural environment can now be found on www.bringingaba.com. Bringing ABA is a website dedicated to supporting professionals and caregivers with embedding the principles of applied behavior analysis (ABA) into the everyday lives of individuals with autism spectrum disorders (ASD) and other disabilities. This new website provides a wealth of free reading materials and video clips on the topics of ABA, ASD, positive behavioral interventions and supports (PBIS), and inclusion for individuals with ASD and other disabilities. There is a database of hundreds of ABA lesson plans for teaching social skills, communication skills, academic skills, independent functioning skills, and positive behaviors across home, school, and community contexts. Special requests for lesson plans can be made if you do not find what you are looking for. Visit the professional development section to learn more about training and consultation opportunities for professionals and caregivers. Online continuing education (CE) courses for behavior analysts (BCBA’s and BCABA’s) are also available. Click here for a short video that introduces you to the new website. Over the last two decades, research on positive behavior interventions and supports (PBIS) has exploded. Schools across the nation are implementing school-wide PBIS programs, and the results indicate a drastic decrease in problem behaviors in students with and without disabilities (Cheney, et al., 2010; Sherrod, Getch, & Ziomek-Daigle, 2009; Warren, et al., 2006). A school-wide PBIS program is a three-tiered intervention that takes a proactive, systematic approach to decreasing problem behaviors. PBIS focuses on determining the cause of the behavior, teaching new behaviors, and positively reinforcing desired behaviors. This makes PBIS similar to ABA, which also focuses to assess, change, respond to, and monitor behaviors (Weiss, DelPizzo-Cheng, LaRue, & Sloman, 2009). According to Weiss et al. (2009), PBIS takes the principles of ABA and applies them to a three-tiered program in which all students participate. Typically, ABA is implemented to change the behavior of one individual. In a PBIS program, all students participate in some interventions (tier-one), small groups of students participate in more direct interventions (tier-two), and individual students participate in personalized behavior modification programs (tier-three). In addition to having a school-wide PBIS program, teachers can implement a PBIS approach into their classrooms to manipulate antecedents and consequences to increase desired behaviors (Rodecki & Witzel, 2011). To do this, teachers must rely heavily on the principles of behaviorism. Components of ABA such as stimulus control, positive reinforcement, self-monitoring, and direct instruction are tools that teachers can incorporate within their classroom to modify student behaviors. Baer, Wolf, and Risley (1968) defined the characteristics of ABA as applied, behavioral, analytic, technological, systematic, effective, and having generality. This means that implemented evidence-based interventions have a direct, positive impact on the lives of the participants, which can be generalized across contexts. PBIS uses a compilation of research-based behavioral strategies to directly affect behaviors in all students, and ultimately enhances educational opportunities (Rodecki & Witzel, 2011). In order for students with ASD and other disabilities to experience success in inclusive classrooms, ABA and PBIS approaches must be implemented by the classroom teacher. According to Leach (2010), students with ASD benefit from receiving explicit instruction on rules and procedures, reinforcement when engaging in expected behaviors, and positive redirection when not meeting those expectations. These systematic procedures for behavioral interventions branch from the foundations of ABA, and therefore, PBIS cannot sustain without the principles of ABA. For effective inclusion, there must be a collaborative approach among practitioners. Baer, D. M., Wolf, M. M., & Risley, T. (1968). 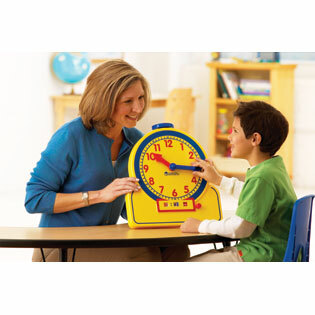 Current dimensions of applied behavior analysis. Journal of Applied Behavior Analysis, 1, 91 – 97. Cheney, D., Lynass, L., Flower, A., Waugh, M., Iwaszuk, W., Mielenz, C., & Hawken, L. (2010). The check, connect, and expect program: A targeted, tier 2 intervention in the schoolwide positive behavior support model. Preventing School Failure, 54(3), 152-158. Leach, D. (2010). Brining ABA into your inclusive classroom: A guide to improving outcomes for students with autism spectrum disorders. Baltimore, MD: Paul H. Brooks Publishing Co.
1. Hearing a book over and over again builds language skills for children with ASD. As the children get more and more familiar with the book, the language becomes easier and easier to understand. The first time a book is read to a child with autism, the language may be very difficult to understand. But each time the book is read the child has to work less and less at understanding the language. When parents read aloud to their children, it positively impacts the child’s language development. For children with ASD it is very important for them to hear the way sentences are formed. With this repeated exposure to books, many kids begin to recite the books on their own using complete sentences. This will enhance their ability to use language to generate sentences in the future. 2. Hearing a book over and over again builds reading comprehension skills for children with ASD. Because children with ASD have communication impairments, reading comprehension can be extremely difficult. By exposing the children to repeated readings, the children have many opportunities to gradually increase their comprehension of the text. During repeated readings, you can begin by asking your child simple questions such as, “What’s this?” or “Where is the cat?” With each additional reading of the book you can make your questions more complex moving to literal questions that assess the child’s comprehension (ex. “What did they eat for dinner?”), and then to inferential questions (ex. “Why was the boy crying?”). 3. If a child wants to read the same book over and over again, this is showing pleasure in engaging in literacy activities. Why would we want to stop this???? Reading should be enjoyable for children. Go ahead and re-read the books your child loves as often as you’d like! 4. Reading the same books over and over again provides multiple opportunities to build your child’s social interaction and communication skills. You can use your child’s motivation to address specific objectives during the shared book reading activities. You can work on having your child use words or complete sentences to request books. You can teach your child to make a choice of which book to read. You can teach your child to make initiations during the book sharing. You can teach your child to invite a sibling to join the book sharing activity. This list goes on and on. Anytime a child has a natural motivation for something, it should be nurtured and utilized for improving social, communication, and academic skills. The question you may be asking is, “Does this mean I shouldn’t try to expose my child to new books?” The answer is: Of course not! The only way a book can become a favorite is by initial and repeated exposure. If your child is resistant to new books, give your child a choice from two or three new books trying to match the choices to your child’s interests. You should also read the new book between two favorites: Read a favorite book, a new book, and then another favorite book. It may take several exposures for a new book to become a favorite. You can line the books up so the child can see that the favorite books will still be read. 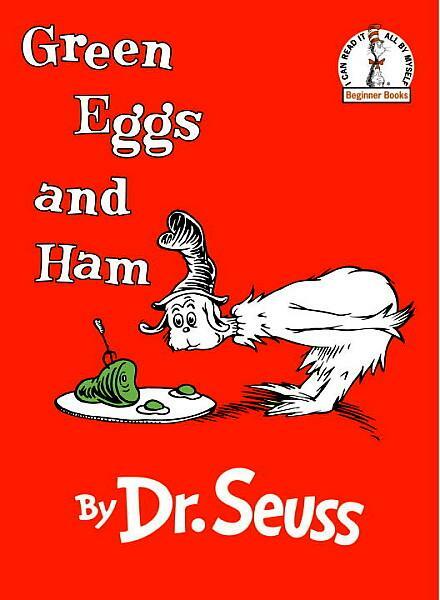 While not every book will become a favorite, I use the same rule I use for new foods: Read the book seven times to the child. If it’s not a favorite by then, move on to another book. The science of behavior analysis studies how the environment can be manipulated to change behaviors (Cooper, Heron, & Heward, 2007). The theories of applied behavior analysis (ABA) were developed to improve human behavior through directly implementing the principles of behaviorism (Axelrod, McElrath, & Wine, 2012). A major component of ABA is operant conditioning. Operant conditioning is when a behavior is altered because of the stimulus change that immediately followed the behavior’s occurrence (Cooper, Heron, & Heward, 2007). Currently, research shows that individuals with Autism Spectrum Disorders (ASD) show significant gains when instructed using the principles of ABA (Axelrod, McElrath, & Wine, 2012). The first publication detailing the components of ABA was published in 1968 with Baer, Wolf, and Risley’s paper entitled “Some Current Dimensions of Applied Behavior Analysis.” This article outlined seven dimensions that must be met when implementing single subject research using ABA. These dimensions were later applied to intervention programs for individuals with ASD and other disabilities. The table below provides a brief summary of each dimension (Leach, 2010). Behaviors, goals, and objectives are clearly defined so that they can be measured and observed by multiple people. The intervention directly correlates with the behavior change, based on the collected data. There is a significant positive change in the behavior that is directly correlated to the intervention. Learned skills can be demonstrated across settings and contexts, and maintained over time. When working with individuals with ASD, it is imperative that we follow these seven dimensions as a framework for instruction and intervention. Over the last 30 years, a variety of intervention approaches for children with ASD have been developed based on the principles of ABA. These approaches include: Discrete Trial Teaching (DTT), Pivotal Response Training (PRT), Incidental Teaching (IT), and Applied Verbal Behavior (AVB). These four approaches have become the foundation of ABA interventions for individuals with ASD. Learning about the strategies utilized in these approaches allows practitioners working with students with ASD to design quality, individualized interventions that can be implemented across a variety of natural contexts. Discrete Trial Teaching (DTT) is an instructional strategy that breaks skills into smaller tasks and uses direct instruction to enable the student to master each skill (Leach, 2010). 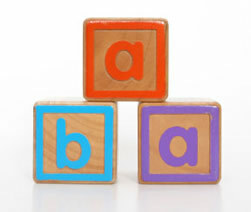 An A-B-C (antecedent, behavior, consequence) format is used during DTT. This is where the teacher provides the student with a direction or other prompting stimulus (A), the student responds appropriately (B), and the teacher gives the student immediate positive reinforcement based on that response (C). If the student does not respond to the antecedent appropriately, then the teacher gives a verbal, gestural, or physical prompt so that the student can successfully engage in the desired behavior. Another application of ABA is Pivotal Response Training (PRT). PRT targets five main areas: motivation, responsivity to multiple cues, self-management, self-initiations, and empathy (Leach, 2010). By targeting these pivotal areas in natural contexts, teachers can change behaviors in other areas. PRT has also shown to enhance generalization of new skills in students with ASD and can be implemented through peer-mediated interventions (Pierce & Schreibman, 1997). Incidental Teaching (IT) is an application of ABA that promotes social and communication interactions in natural settings while increasing motivation and generalization (Leach, 2010). This approach teaches skills to a child by taking advantage of the child’s specific interests or an activity that he/she is engaged with (Steege, Mace, Perry, & Longenecker, 2007). The child is given opportunities to communicate wants and needs while the caregiver or teacher is following the child’s lead (Leach, 2010). Like PRT, IT can be implemented through peer-mediated interventions. Applied Verbal Behavior (AVB) is an ABA approach that teaches language acquisition by combining B.F. Skinner’s classification of language with the A-B-C format of DTT (Leach, 2010). The targeted skills of AVB include: requesting, labeling, imitating, and engaging in conversations. In AVB, students are given reinforcement through the social interactions with the interventionists. Unlike DTT, AVB occurs in one-to-one settings and within the child’s natural environments. As the number of students diagnosed with ASD continues to grow at a rapid rate, it is vital that caregivers, special education teachers, general education teachers, and related service providers have a clear understanding of effective research-based teaching strategies. There is strong research support for using ABA interventions with individuals with ASD across the lifespan. When creating an individualized ABA program for students with ASD, there are a multitude of research-based teaching strategies such as those used in DTT, PRT, IT, and AVB that can be utilized to address the unique needs of each child. The purpose of ABA interventions is to set meaningful goals, design behavioral interventions to address the goals, implement the interventions across a variety of natural contexts, and monitor progress to ensure the skills are mastered, maintained over time, and generalized in meaningful ways. Axelrod, S., McElrath, K., & Wine, B. (2012). Applied behavior analysis: Autism and beyond. Behavioral Interventions, 27(1), 1-15.
Cooper, J.O., Heron, T.E., Heward, W.L. (2007). Applied behavior analysis (2nd ed.). Upper Saddle River, NJ: Pearson Prentice Hall. Pierce, K. & Schreibman, L. (1997). Multiple peer use of pivotal response training to increase social behaviors of classmates with autism: results from trained and untrained peers. Journal of Applied Behavior Analysis, 30(1), 157-160. Steege, M.W., Mace, F.C., Perry, L., & Longenecker, H. (2007). Applied behavior analysis: Beyond discrete trial teaching. Psychology in the Schools, 41(1), 91-99. Think about how you learn most of the things you know. It can be through reading and through experiences. Many people say, “I need to see it first.” Well, we know that children with ASD are visual learners. Don’t you think it makes sense that they would need to see it first as well? Thus, instead of making a request and then prompt if the child does not respond, first model the expectation. Immediately following the model, provide an opportunity for the child to imitate the model. This strategy is called modeling/request imitation (Buffington, Krantz, McClannahan, & Poulson, 1998). If you can show the child exactly what you want him/her to do, you will be surprised how often the child can imitate the response without any prompts. Of course, if the child does not imitate the model, prompting/fading procedures can be used at that time. Another reason why it is important to use modeling/request imitation is to increase the child’s independence. If the child can see what is expected, and imitate the model without any prompts, independence is achieved much quicker than using prompts and having to systematically fade them out. Using modeling/request imitation is a great way to prevent prompt dependency. 1. Early Childhood: A caregiver wants to teach a child how to use a fork. The caregiver first models sticking the fork into a piece of food, then takes the fork out, gives it to the child and says, “Now, you try!” The child takes the fork and attempts to stick it into the food. Although the fork didn’t go all the way in, the caregiver positively reinforces the child with specific praise and quickly puts the fork in the food and gives it to the child to eat. With each successive trial, the caregiver models and offers an opportunity for the child to imitate. After just a few trials, the child is able to independently stick a fork into the food. 2. Elementary: A teacher wants to teach a child how to add with regrouping. The teacher sits next to the child and writes two of the same problem on a piece of paper. One problem is on the child’s side; the other is on the teacher’s side. The teacher first models adding the numbers in the ones column, and provides an opportunity for the student to imitate that step with the same problem. Next, the teacher models how to add the tens column with the number that was carried over, and provides an opportunity for the student to imitate that step as well using the same problem. Several problems are done this way until the student is able to complete the problem without any modeling. 3. Middle/High School: A teacher wants to teach a student how to measure materials for a science experiment using measuring cups and measuring spoons. The teacher decides to use peer-mediated intervention by having a peer use modeling/request imitation to show the child how to measure with the cups and the spoons. For each item that needs to be measured, the peer first shows the child how to fill up the measuring cup/spoon, then dumps it out and gives the student an opportunity to imitate the model. The peer continues to use modeling/request imitation until the student can measure independently without the model. 4. Community-Based Instruction: An employer wants to teach an individual how to file away folders in alphabetical order. The employer models how to do so, removes the folder, and provides an opportunity of the individual to imitate. This is repeated with several different folders until the individuals can file alphabetically without a model. I am presently an Assistant Professor of Special Education at Winthrop University in Rock Hill, SC. My passion is working with families, educators, and community groups to help support the successful inclusion of individuals with ASD using principles of ABA and other evidence-based practices. My focus is on finding ways to bring ABA interventions into the everyday lives of individuals with ASD to increase family, community, and school inclusion and reduce the need for segregated services. I provide training and consultation for educators, schools, school districts, caregivers, and community groups related to supporting individuals with ASD. Contact me at leachd33@gmail.com for more information.